. Published on Friday, February 8, 2019 . 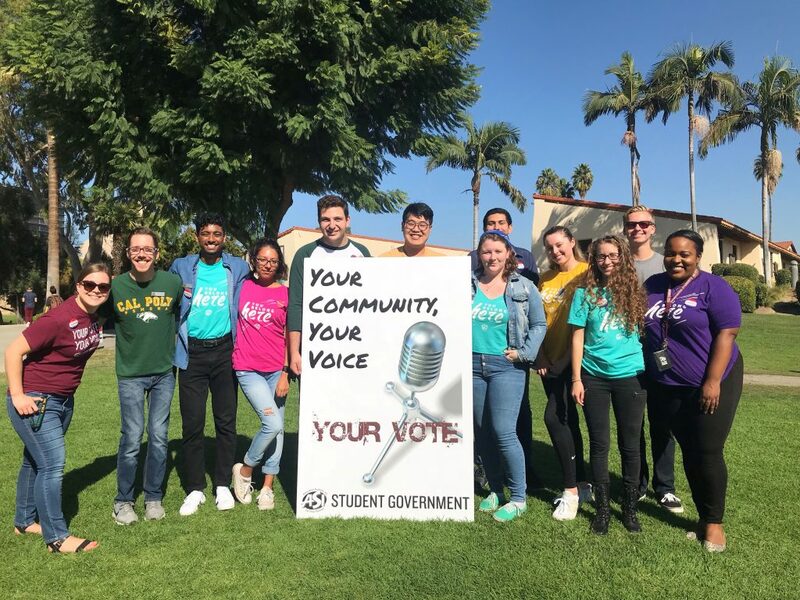 Not many students know that being a Student Government leader at Cal Poly Pomona (CPP) is an opportunity not to be taken lightly, and in addition to having a bigger voice on campus, there’s a few perks you might just want to know about. If I could stand on top of a podium and preach about how awesome and rewarding being a part of Student Government is, I would! But instead of doing that, here’s a short list of the benefits you’ll be reaping as a member of Student Gov. Although positions in Student Government do not work on an hourly wage basis, don’t think that it’s free work you’ll be doing! Select positions receive a scholarship or stipend, which are dispersed during the middle and end of each semester. Although holding a position in ASI Student Government is not equivalent to a job, it allows you to work without the lull that comes with other positions. ASI is comprised of professional staff members who guide you through your college journey and are there at your disposal. If closely collaborating with faculty, staff and administrators in a professional capacity sounds appealing to you, then look no further! Student leaders have one-on-ones with ASI mentors and university advisers to track their progress, discuss questions about the future and provide mentorship as needed. If you utilize this perk, they will assist you in developing leadership skills, effective communication, interpersonal relationships, critical thinking and problem solving, organizational planning and social responsibility. Every position within Student Gov allows for an enhanced voice and a chance to step into a whole new role on campus. You’ll be meeting with key campus figures, speaking with your constituents, voting on pressing issues, attending conferences and state wide meetings and experiencing a host of other opportunities due to your new position. One of the highlights is the chance to attend Cal State Student Association (CSSA), a conference where student leaders and reps from all 23 California State University (CSU) campuses meet to discuss and resolve issues pertaining to higher education that may affect the CSU system as a whole. Yes, your own office space! I know this might not seem that great right off the bat, but think about it, you’ll have your own space to work, convene and collaborate with your fellow Student Government leaders! But before you get too excited, I should preface this by saying that changes are always occurring, and the years to come may have different office arrangements. Although it is not guaranteed and varies from year to year, having your own unique space on campus is something special if available. I’m glad I was able to experience the desk life! To me, this is one of the best perks that joining Student Gov has to offer. Working with like-minded people in a team-oriented environment is such a rewarding experience, and it’s one I can personally vouch for. Your fellow leaders will soon become some of your closest friends, and the memories you take away will shape your college experience immensely. I cannot picture my time here at CPP without the people I’ve met through ASI, so don’t let this opportunity pass you by! What is your favorite Student Government perk? Let us know using the hashtag #CampusCropChat on Facebook, Twitter and Instagram. Don’t forget to vote during this year’s election, taking place from April 15-18 via myBAR!